Part of the Reli-a-Flex coupling range these miniature units share the technical features of their larger counterparts while catering to smaller applications with bores as small as 1.5mm. What happened when the engineers at Reliance were unable to find a one piece flexible coupling to meet all of their needs? They drew on 40 years of experience and designed their own. 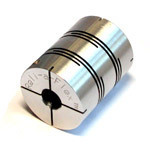 The Reli-a-Flex range of one piece couplings has been specifically designed to provide an extremely accurate transfer of motion between two rotating shafts. Effective for parallel, angular and axial misalignments, Reli-a-Flex is the choice for accurate measuring and responsive precise motion control applications. How Do You Minimize Torque Fluctuations? 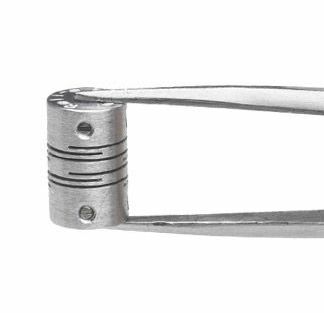 With Reli-a-Flex’s unique patented double slit pattern. By smoothing the transition of torque from slit to slit as the coupling rotates introducing negligible axial and radial bearing loads. Increasing bearing life and accuracy. Mirror image slit patterns may look similar but the pivot points move in and out and the centre piece angle varies causing stress variation and less uniform rotation. The Reli-a-Flex coupling outperforms all other one piece couplings on the market and give predictable performance. Reliance has a unique design, test and rapid manufacturing facility dedicated to supplying small quantities of custom Reli-a-Flex couplings quickly, cost effectively and with predictable performance. 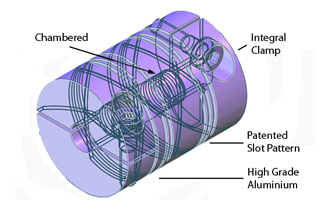 Special interfaces can be incorporated into your design allowing for easier interaction between the coupling and other components within your assembly. Alternative materials, including polymer and other plastics, are also available. 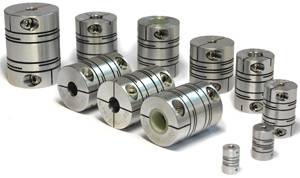 Myostat is pleased to offer Reli-a-Flex couplings in preferred sizes at a new lower cost. The Reli-a-Flex range of one piece couplings have been specifically designed to provide an extremely accurate transfer of motion between two rotating shafts. Most standard combinations are in stock and available for immediate shipping. Contact us today to take advantage of this new reduced pricing. 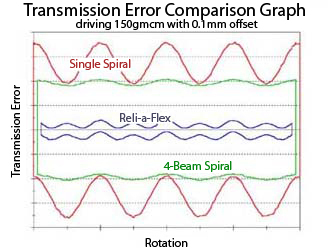 Minimize torque fluctuations with Reli-a-Flex's unique patented double slit pattern. While mirror image slit patterns may look similar, the pivot points move in and out and the centre piece angle varies causing stress variation and less uniform rotation. By smoothing the transition of torque from slit to slit as the coupling rotates, Reli-a-Flex couplings introduce negligible axial and radial bearing loads - increasing bearing life and accuracy.